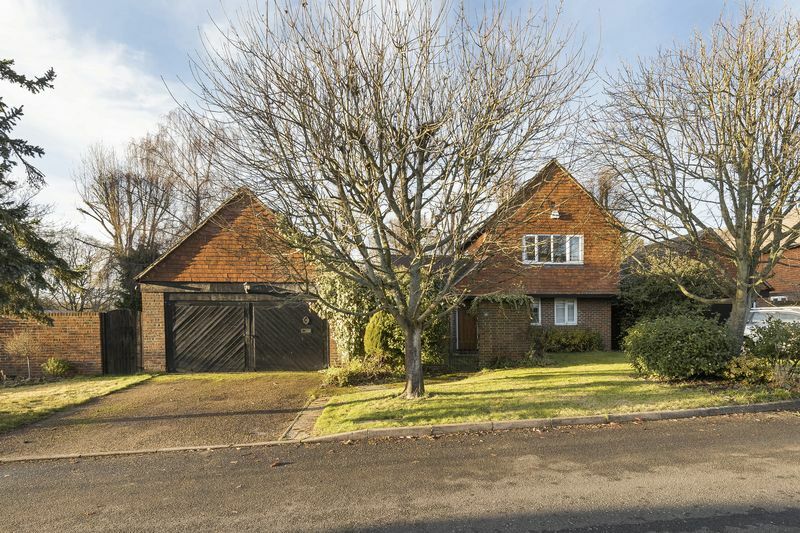 Situated in a quiet, private and leafy road, The Limes is a substantial four double bedroom detached property, occupying the largest plot in this small development. 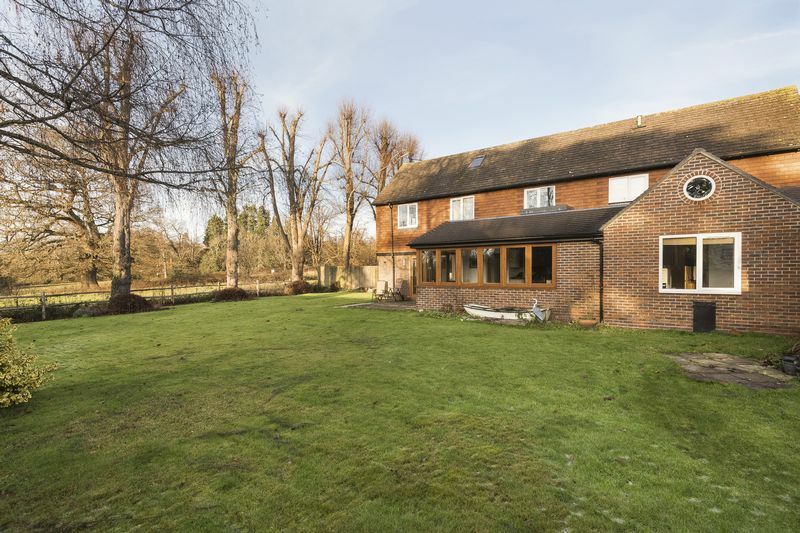 The property has been completely renovated and extended by the present owners to a very high standard throughout - the result being a remarkable family home. The Limes backs on to the historic Penshurst Place Estate, with the house enjoying a beautiful countryside outlook across the estate’s grounds, where wildlife is often in abundance. You are immediately given a sense of space from the large hallway which has a useful fitted coat cupboard. From the hallway towards the rear of the property you will find the impressive L-shaped kitchen/dining room, finished with high-end touches that include fitted NEFF appliances. 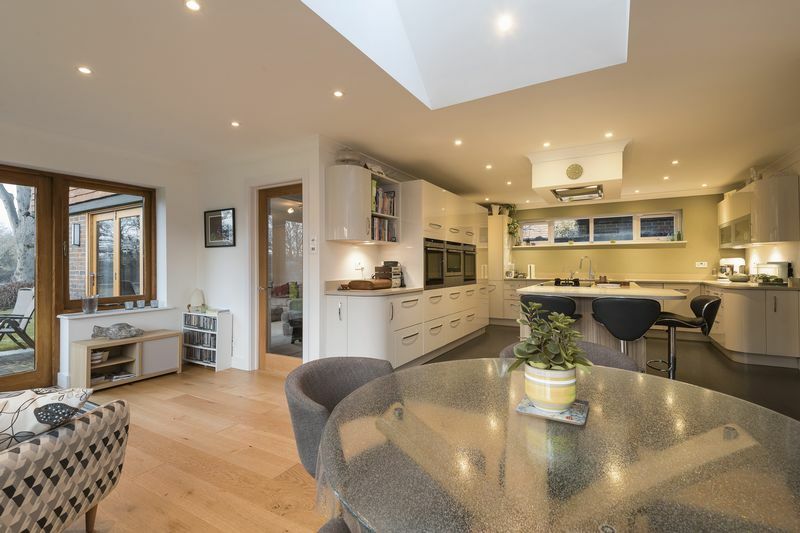 The bespoke kitchen (fitted by Kensington Scott) has a range of fitted cabinetry with attractive stone work surfaces along with a large island/breakfast bar. 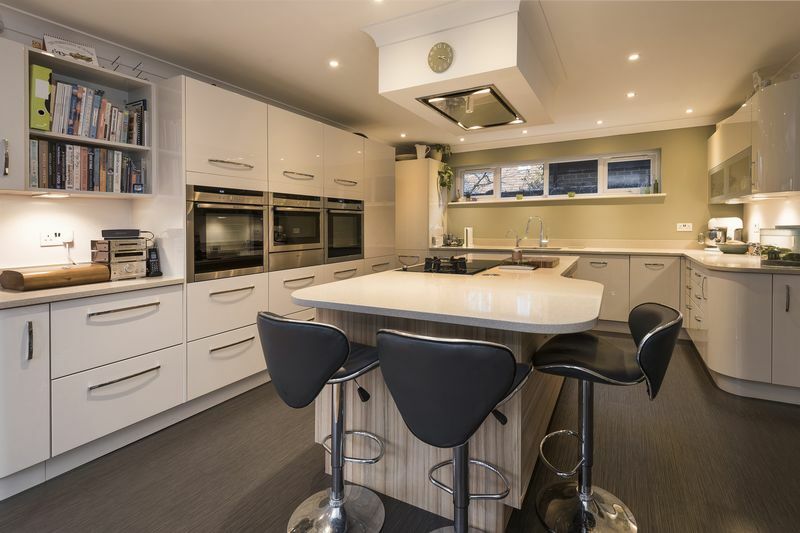 Fitted NEFF appliances include two fan ovens, warming drawer, microwave, four-ring induction hob, gas WOK hob, dishwasher, full height fridge and a full height freezer. The kitchen also has an instant boiling water tap. In addition to the fitted cabinets you will find a handy walk in larder cupboard. 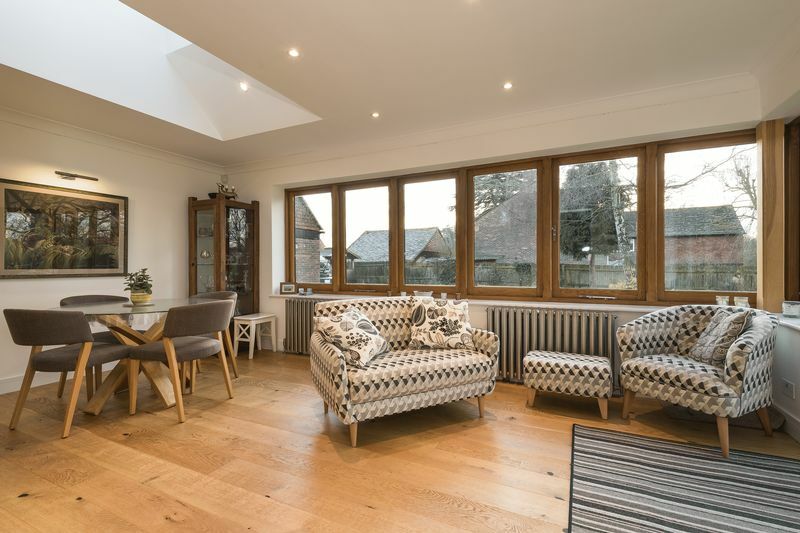 The dining area is open from the kitchen with attractive engineered oak flooring and solid wood windows stretching its length allowing for lots of light and lovely views to the garden and beyond. Double solid wood doors open from the dining area into the garden. The dining area is a generous size with the current owners using the space as a further living area. From the kitchen there is a utility room which has fitted units for storage, a wash basin, space for a washing machine and a separate dryer. An oak stable door leads to the garden. 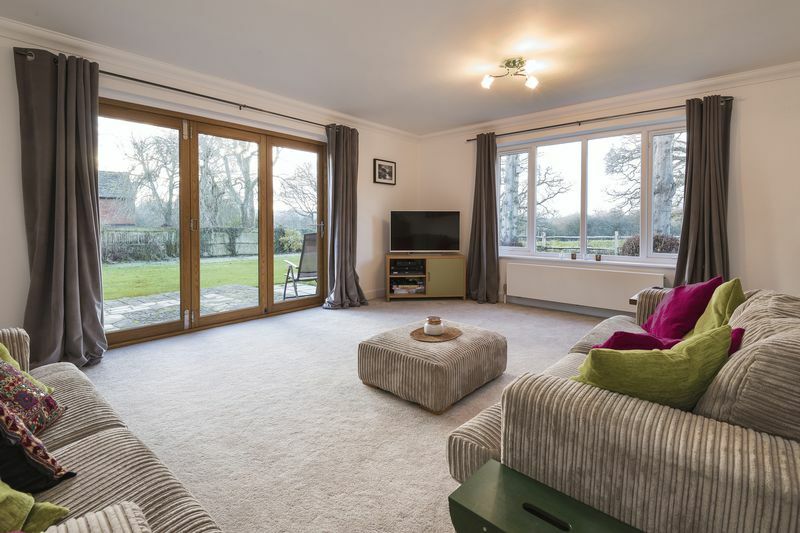 At the rear of the ground floor you will find the dual-aspect living room which is a great size with breath-taking views across Penshurst Place Estate. The living room has cream carpets and solid wood bi-fold doors to the garden. A flight of stairs leads to a substantial landing on the first floor with windows to the side. 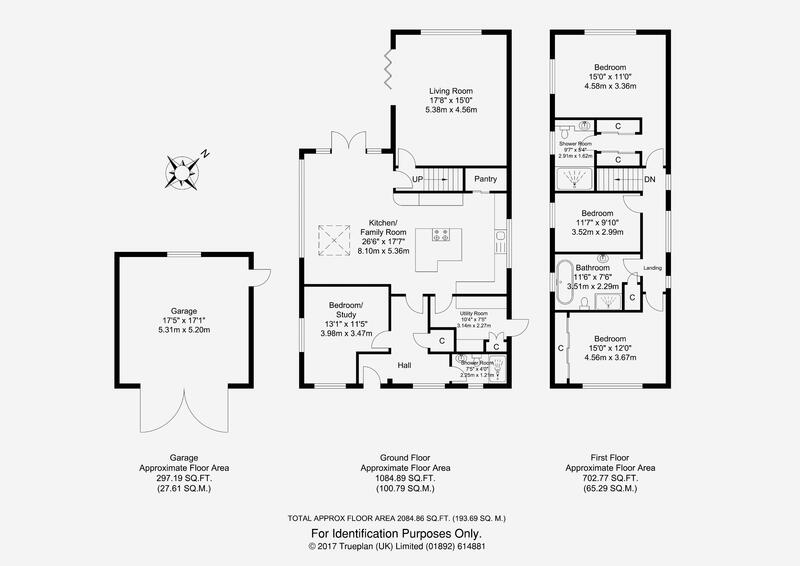 Located at the rear of the first floor is the master bedroom, which is dual aspect with attractive views. The master bedroom benefits from a walk-in ‘his and hers’ wardrobe which leads to the en-suite bathroom. The bathroom benefits from a double width shower with flush ceiling mounted rain head and separate hand-held shower attachment. 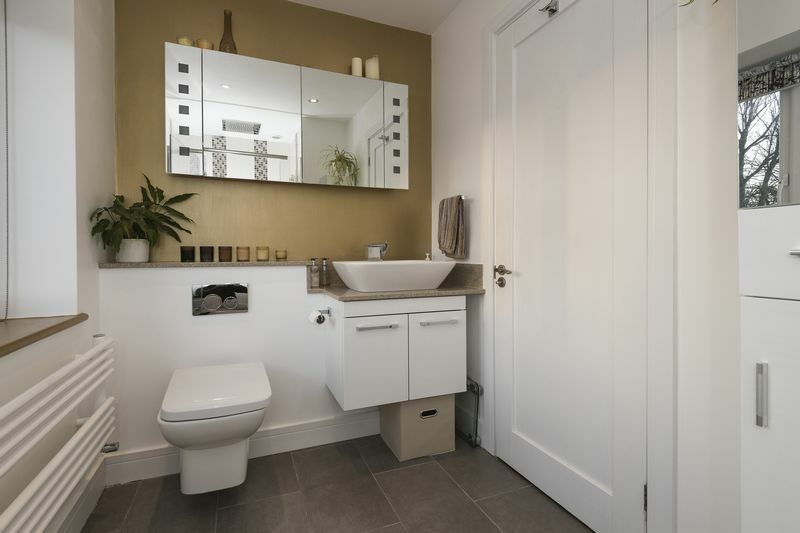 In addition the en-suite includes underfloor heating, WC and table top wash basin with waterfall style mixer tap. 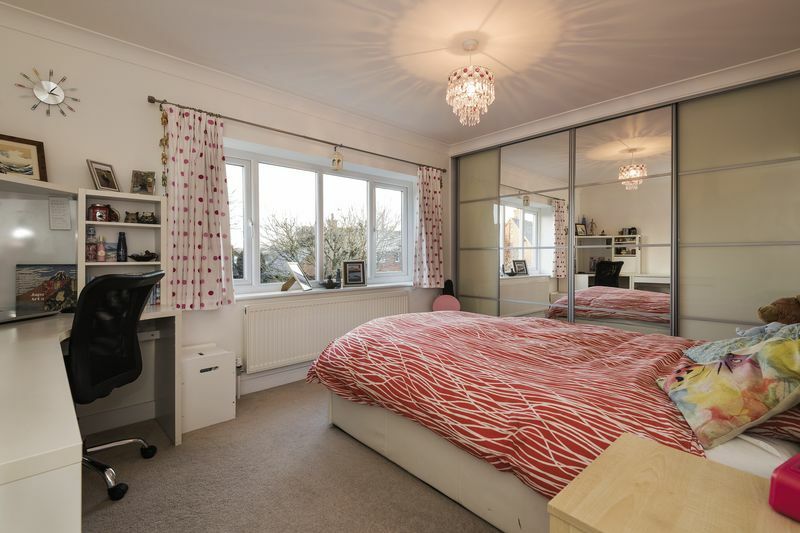 Bedroom two is another large double, with a fitted cupboard providing lots of storage and there is plenty of space for further free-standing furniture. 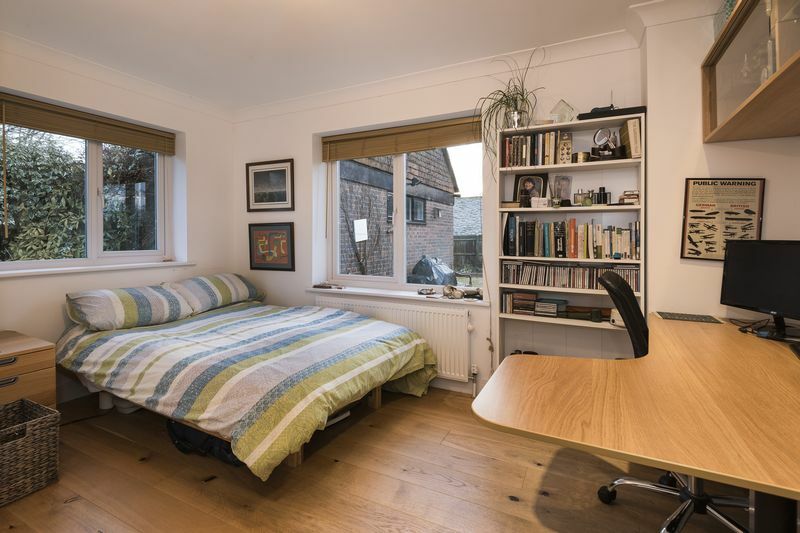 The third bedroom sits at the front of the property and is a good sized double benefiting from a large amount of mirror fronted wardrobes along with pleasant countryside views in the distance. 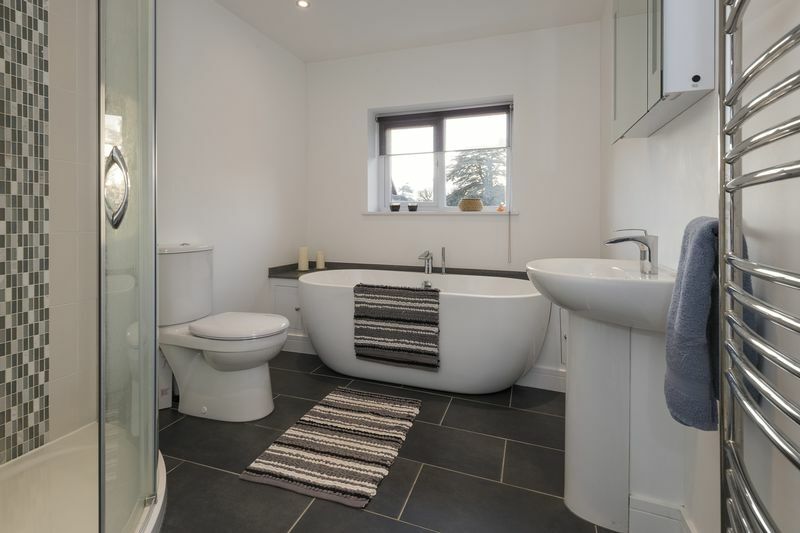 The family bathroom is a generous size, finished with high end fittings and underfloor heating. The bathroom has a large shower with rain head fitting, free-standing oval bath, WC, wash basin and a LED unit above. The bathroom also benefits from having a spacious fitted airing cupboard housing the water cylinder. Completing the property is the fourth bedroom along with the shower room. 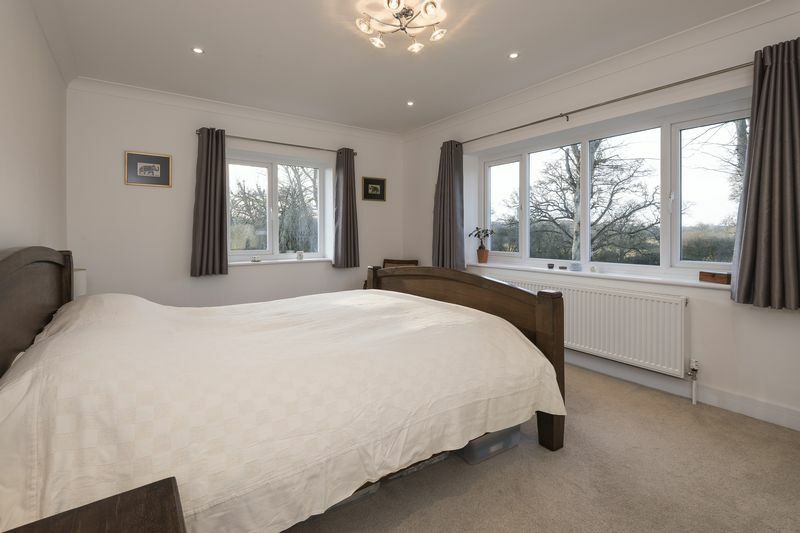 The fourth bedroom is a dual aspect double bedroom with lovely engineered oak flooring, which is currently being used as a guest room. Adjacent to the fourth bedroom is the shower room with double width shower, chrome heated towel rail and wash basin with LED lit mirror unit above. Outside you will find the beautiful garden, which has a large lawn area with bordering flowerbeds and two patio areas. A post and rail fence stretches the rear of the garden allowing for beautiful views to be enjoyed across the stretching Kent countryside. A green house and shed complete the garden, along with access door to the detached garage with space for two cars. Boarded roof space in the garage means there is plenty of storage and a driveway in front of the garage allows another two cars to park off-road. Latymers is a private residential road and a small maintenance fee is payable by residents for upkeep of the road, of £75.00 P/A. 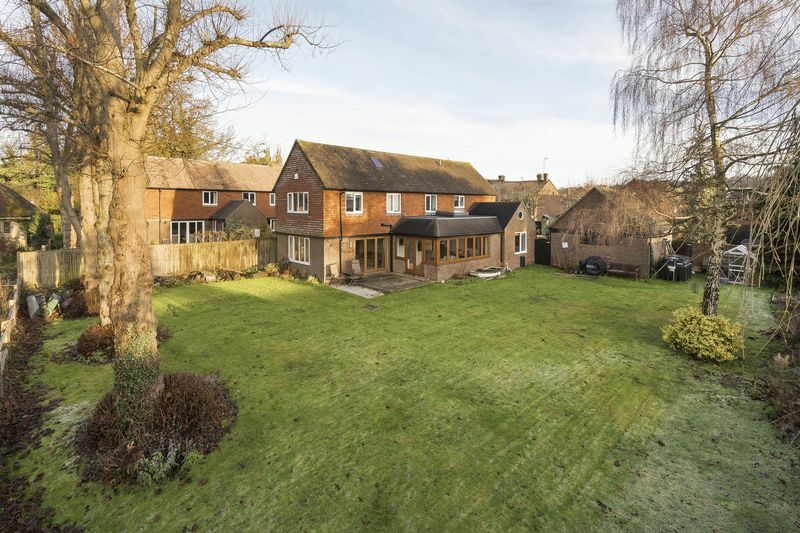 The Limes sits in an enviable position in the heart of Penshurst village, famous for its ancestral home, Penshurst Place, which was once owned by Henry VIII. The village is within an area of outstanding natural beauty, surrounded by some of the area’s most beautiful countryside. The village itself offers an array of amenities including a church, doctor’s surgery, tea room and the popular Leicester Arms Pub/Restaurant. Other points to note are the regular farmers markets and cricket matches, held on one of the country’s oldest cricket grounds. For education the village has its own Primary School, while Fordcombe and Chiddingstone also have highly regarded Primary Schools. Both Tonbridge and Royal Tunbridge Wells offer highly regarded Boys/Girls Grammar schools along with many well respected private schools for all ages. Penshurst train station is approximately 2 miles away, where links take you to the city (London Bridge) in just over the hour. Approximately 4.3 miles away you will find Hildenborough train station, where trains take you to London Charring Cross and Cannon Street in around 40 minutes. A bus stop outside the entrance to Latymers provides a regular service to Tunbridge Wells, ideal for those needing the station or for children getting to school.